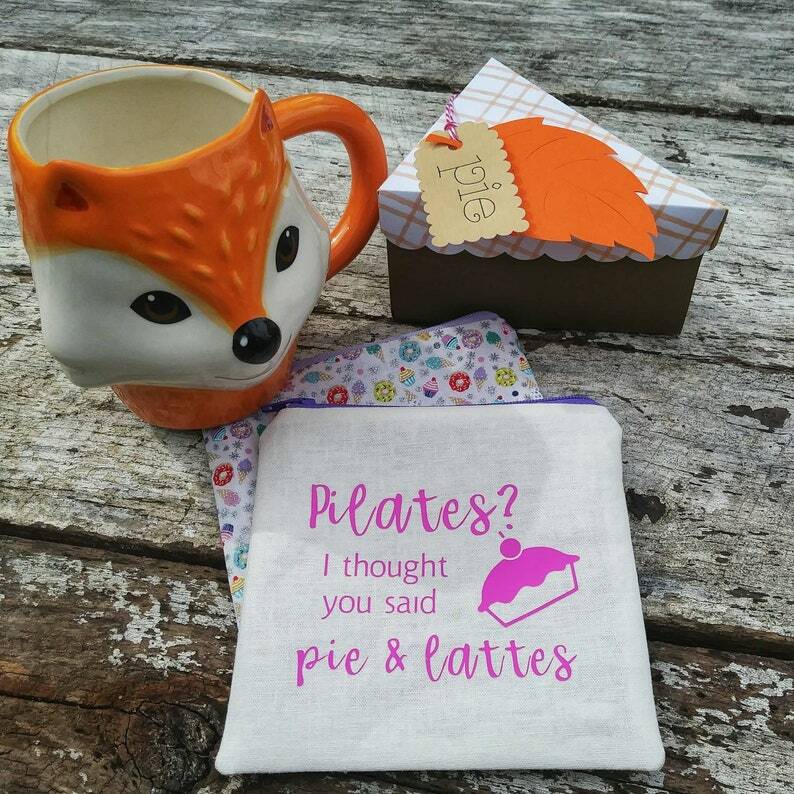 Just to be clear, if you thought I said Pilates, I definitely did say pie and lattes! Coffee and the good stuff all the way. I got you, girl! Tuck your treasures inside these little square pouches which measure approximately 5 inches by 5 inches square. Just the right size to stash a few small goodies into your purse. Purchase either of these pouches individually or grab a little bargain and buy both together. The Pilates pouch is made of a white linen blend fabric and embellished with an iron on decoration. The second pouch is made from a cotton fabric featuring tiny desserts and silver glitter sparkles! Both pouches are lined with the same pink polka dot cotton.